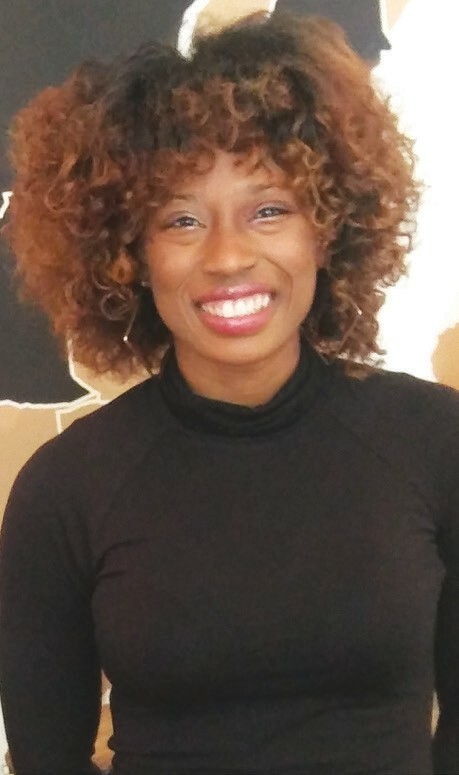 Sharonna Ray, an undergraduate senior studying Visual Art at Savannah State has been selected as an Education and Public Relations Intern at the Savannah African Art Museum (SAAM). “What strikes your interest for working with the Savannah African Art Museum?” asks Barbara Essig, Education and Public Relations Coordinator. The Savannah African Art Museum has partnered with the Massie Heritage Center and the Savannah-Chatham County Public School System (SCCPSS). The SAAM Massie Trunk was project created by a Savannah College of Arts and Design Continuing Education student in the Art History Department’s Museum Education course series. The SAAM Massie Trunk presentation serves as prelude for what the students should expect prior to visiting the museum. The second part of the experience is the students’ actual trip to the museum. As an Education and Public Relations Intern, Ms. Ray collaborates with Ms. Essig to coordinate the activities and agendas of their presentations to the seventh graders. Ms. Ray also takes on the role of reaching out to the administrators of new schools in the district who haven’t had the opportunity to experience the SAAM Massie Traveling Trunk program. “History is a means of learning in hindsight. That knowledge becomes the foresight of their future. It has been a pleasure working with the staff at SAAM and learning under the wings of Ms. Essig. I graduate from Savannah State in December 2018 with a BFA in Visual Art. I am grateful that I can test the water with educating middle grade students on a subject that I am passionate about. By interning at SAAM, I have also gained the insight on what it takes to run an art related business efficiently on a day to day basis.” states Ms. Ray. Ms. Ray is also an active Visual Artist and Designer who has her work featured in local art exhibitions in Nonfiction Gallery and Sulfur Studios. Her work is also in archives at the Asa H. Gordon Library in Savannah, Georgia. To see her work visit: (https:// sharonnaray.com/).